With over thirty expedition ships now on order from shipyards in Norway, Romania, Portugal, Croatia, Chile and China, it is interesting to see that there are also a number of standard designs available for anyone who might want to enter that trade. But not many orders in the three or so years since the designs were first announced. Probably most notable of these are SunStone Ships’ X-bow “Project Unlimited” ships, three of which are now on order. 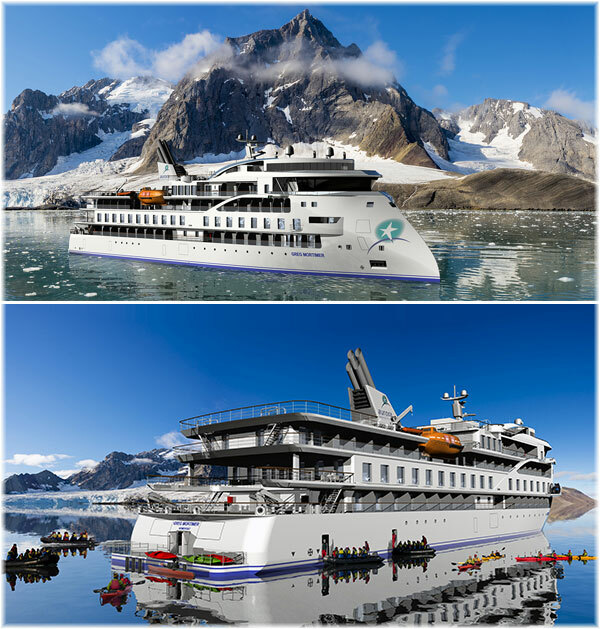 Being built by China Merchants Heavy Industries near Shanghai, the first of these to be delivered will be Aurora Expeditions’ Greg Mortimer. SunStone has been quoted as saying that up to a dozen of these ships could be built. Then comes the Ulstein X104 design from Norway, the first of which will be delivered as the National Geographic Endurance for Lindblad Expeditions in the Polar Regions. It is likely more will follow. Next comes the WestSea design from Portugal, the first of which will be delivered as the World Explorer to work with Nicko Cruises by summer and Quark Expeditions in the Polar Regions. Again, there was talk of up to a dozen of these, but no signs of a further order yet. The fourth standard design that has produced no orders is a 12,612-ton 112-berth design from Damen Shipyards in the Netherlands. 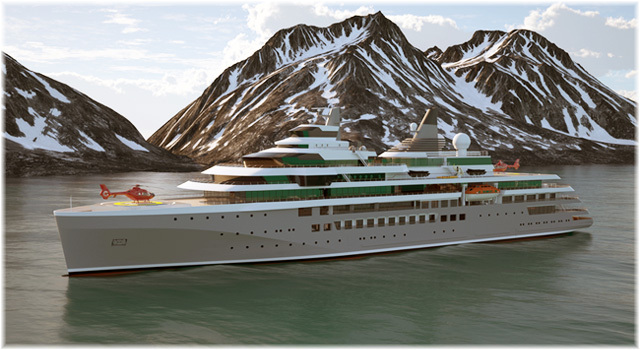 Since this design was launched, however, the new Marriotti Damen Cruise joint venture has signed a contract to build two new 23,000-ton 264-berth expedition-style ships for Seabourn. 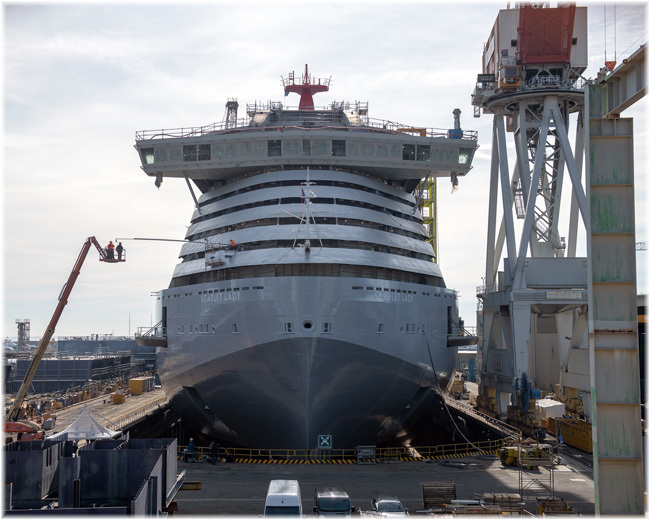 Last Friday, the Fincantieri plant in Sestri Ponente saw the launch of one of the most innovative cruise of recent times, the first of four sister ships for Virgin Voyages. When the Scarlet Lady was floated out, she left the basin free for the construction of the second ship. The delivery of the first ship is scheduled for early 2020. The Scarlet Lady will measure about 110,000 gross tons, and will have dimensions of 912 x 125 feet, wide enough for the new Panama Canal, but too wide for the old one. The sister ship, now under construction in the same yard, will be delivered in 2021, while the third and fourth units will follow in 2022 and 2023. They will each carry 2,770 passengers, assisted by a crew of 1,160. The Sestri Ponente basin, now having been relieved of the Scarlet Lady, will soon be occupied by the first building blocks of the second hull. The construction of these began in the last few months and are now ready to be assembled, while the Scarlet Lady will be outfitted for her sea trials. Fincantieri has built eighty-eight cruise ships since 1990 and another fifty-five are now in various phases of construction in Fincantieri various facilities. The St Helena Returns, As A Garage! In July 2018, it was reported that the 6,800-ton passenger and cargo vessel St Helena, which for many years had sailed to St Helena and Ascension, first from the UK and later from Cape Town, had been sold to maritime security firm MNG, for use as a floating armoury for anti-piracy guards in the area of the Red Sea. In late 2018, however, the St Helena was sold on, with some early reports suggesting that she was to be converted into a yacht. It now seems, however, that she is to assume a vital role in a new ultra high-technology motor sport venture. On January 31, the St Helena was in London as the venue for an event to promote a new series of off-road races for electrically-driven, specially-constructed sports utility vehicles. To be known as the “Extreme E” series, the races are scheduled to commence in 2021, and will take place at locations in the Himalayas, Sahara, Amazon, Arctic and Indian Ocean. St Helena is to be converted into a floating garage for the race series. The ship already features a large crane, and accommodation for 250 supernumeraries. Her refit will include the conversion of some internal spaces into workshops and garages. 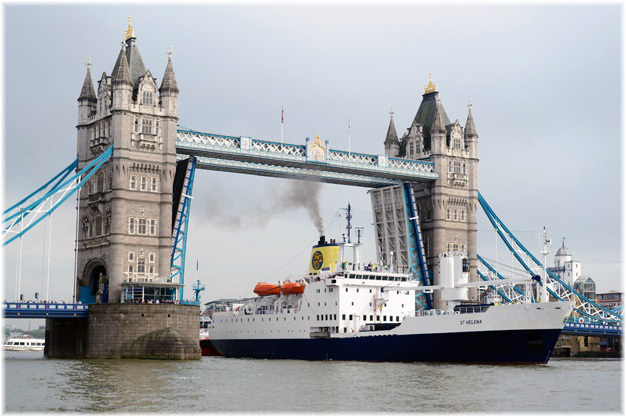 After London, the vessel headed west to undergo conversion work. According to some reports, this work is to be carried out by A&P in Falmouth and Manor Marine in Portland. 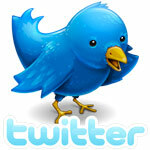 Next story Why are travel agencies important to cruise lines?